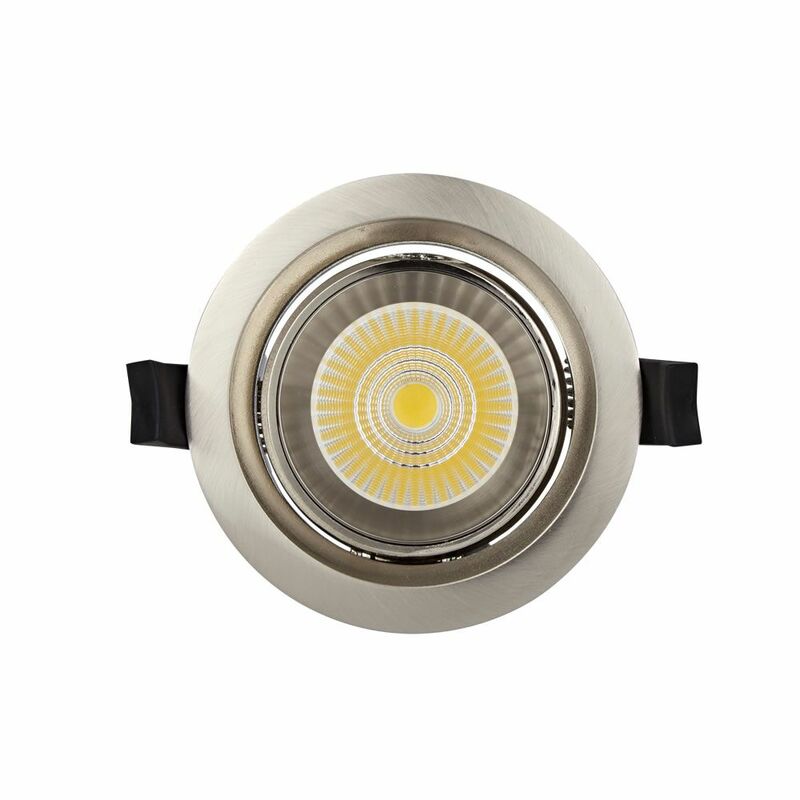 Featuring an integrated 10W LED chip by world-leading manufacturer Citizen. 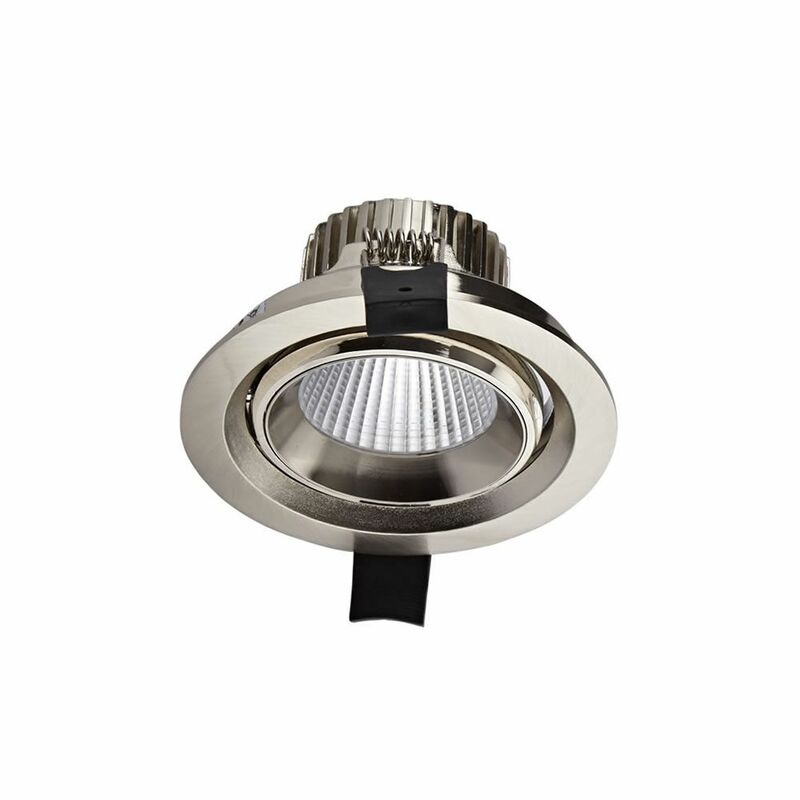 The excellent quality recessed downlight is designed with a standard cut out size of 85-90mm. 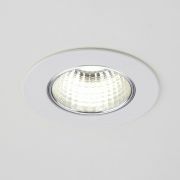 Complete with an adjustable round brushed nickel bezel. 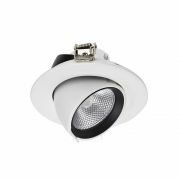 Ideal for localised task lighting, the downlight projects light at a narrow 24° beam angle. 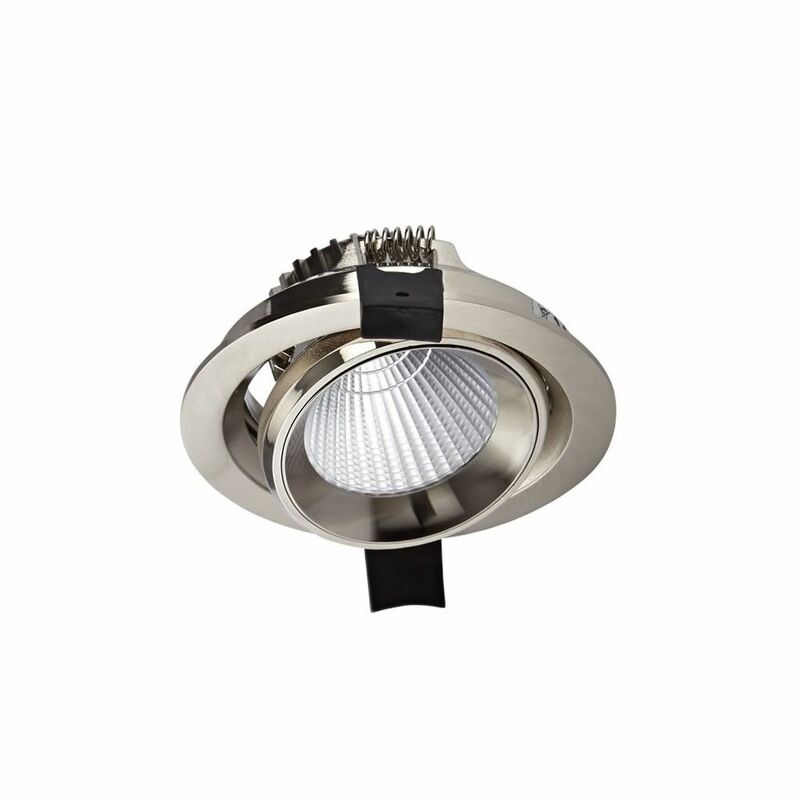 Rotate through 360° and tilt 25° to easily adjust the direction of the light output. 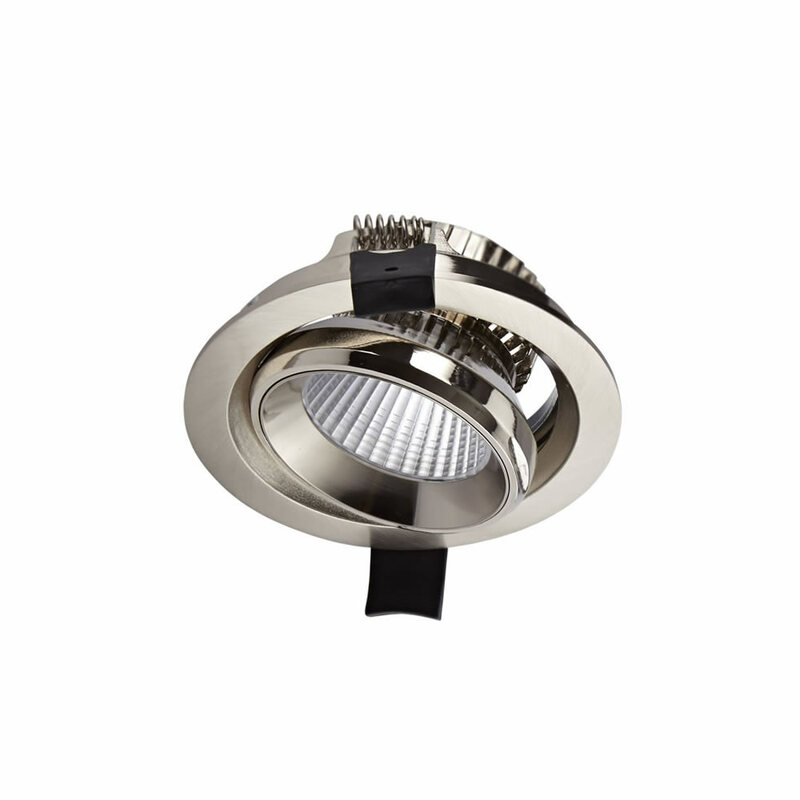 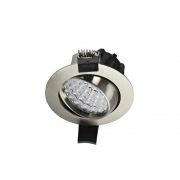 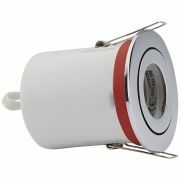 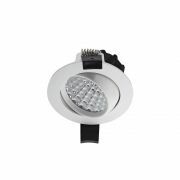 Ensuring efficient heat dissipation and high performance, the downlight features a finned heat sink. 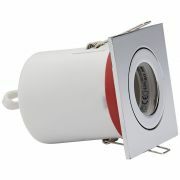 Suitable for installing in narrow enclosed spaces. 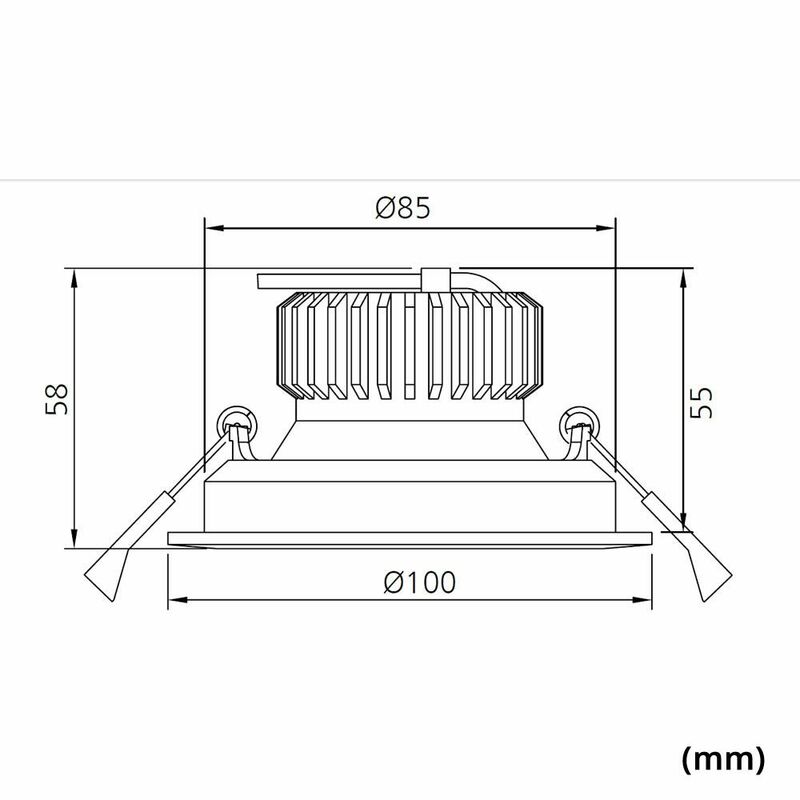 A high colour rendering index of >80 guarantees clear colour retention. Providing quality illumination for up to 40,000 hours. 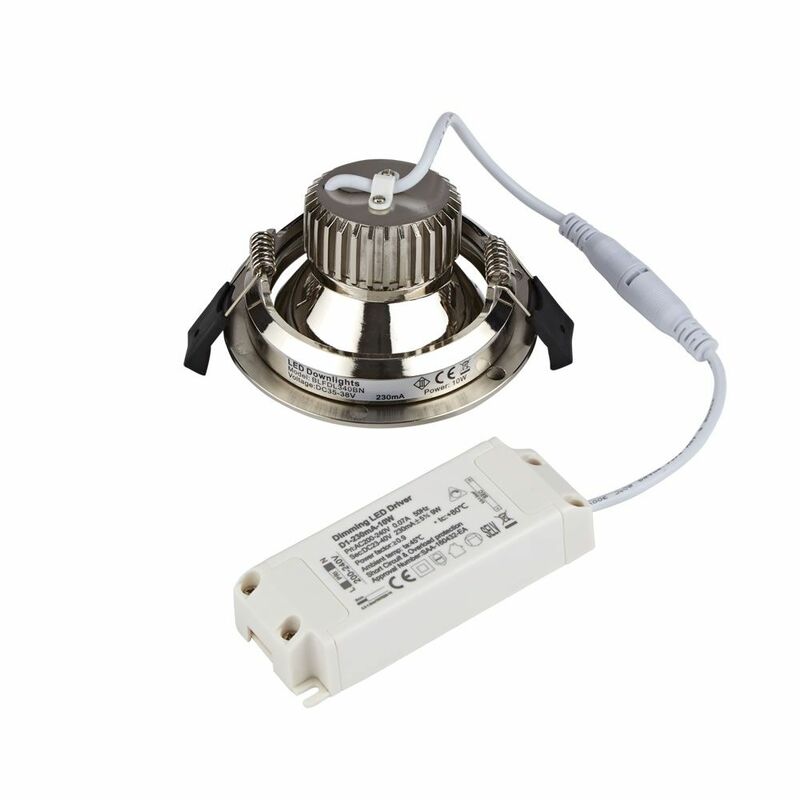 Pair with a compatible dimmer switch to control the brightness.